California s Proposition 65 is a law that helps no one except perhaps trial lawyers and bounty hunters. As we have pointed out in the past, it certainly does nothing to benefit public health, and according to a recent opinion piece in the Sacramento Bee, it hurts small businesses. Mark Snyder, a small business owner, clearly points out the deficits in the law. He notes that the list of chemicals that must be labeled has now grown to nearly 900 meaning there s going to be a Prop. 65 chemical in just about everything. He also explains that the way the law is written practically asks for lawsuits citizens can file lawsuits and extract penalties from business owners. When a private citizen sues a business under Prop. 65, there is no requirement to show that anyone has been, or will be, harmed by a substance s presence as long as the substance is on the Prop 65 list. The litigant simply has to be there. Snyder notes that small businesses are unlikely to have the resources to fight a long legal battle, and thus are more likely to settle out of court. However, many a small business hasn t even those resources and have been forced into bankruptcy. Since a successful litigant can be awarded one-fourth of the civil penalty paid by a business, Snyder notes that Prop. 65 doesn t just allow lawsuits, it entices them. His solution? It s time for California to dismantle Proposition 65. ACSH s Dr. Ruth Kava strongly agrees, Since 1986 when Prop. 65 was passed, there have been many lawsuits, but no established benefit to public health although improving public health was supposed to be the result. 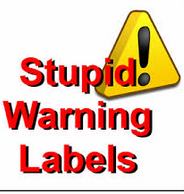 But with warning labels on virtually every product sold in stores, how could a consumer pay any attention to them? Getting rid of Proposition 65 would definitely be a step in the right direction. ACSH s Dr. Josh Bloom, who has written about the insanity that poses as Proposition 65 in his piece, Preposterous Propositions, which can be read here, notes, Both alcohol and Valium are on the list. It would seem that the people responsible for this mess were consuming too much of both.